At bemisUNDERGROUND, Performing Human opens June 29. The exhibit with new work from the University of Nebraska-Lincoln graduate Kan Seidel (now a Chicago resident) presents photography and video presenting six conceptually linked human subjects inhabiting or pursuing “idealized states of identity” like the model relationship, complete happiness of the “American Dream.” BemisUNDERGROUND curator Joel Damon will give an art talk with the artist June 30. Bemiscenter.org. The Kent Bellows Studio and Center for Visual Arts will display twenty-two selected prints of Bellows’ paintings and drawings also for purchase. Opening June 28, the exhibit to celebrate Bellows’ work and the mission of helping established artists pursue their creative goals while giving back to the community, the show will run thru July 20 at the Center on 33rd and Leavenworth. Proceeds from the sales will support The Center’s programming. KBS also recently partnered with the Omaha Mayor’s Office to present an exhibit of student artwork in the northeast wing of the Omaha/Douglas Civic Center Farnam-level lunchroom. It is a pilot program providing the meeting room with an inspirational aura. The exhibit is planned to revolve every couple of months with new student work. Kentbellows.org. KANEKO announced Friday a grant award for $4,030 by the Nebraska Arts Council to support a hands-on summer arts workshop, “Modern Tradition—Seeing With New Eyes.” In partnership with Therman Statom Studios, Omaha Public Schools Native American Indian Education and Hot Shops, the students will be introduced to basket weaving, glass blowing, painting, clay construction and performance art in Native American dance and storytelling throughout July. thekaneko.org. 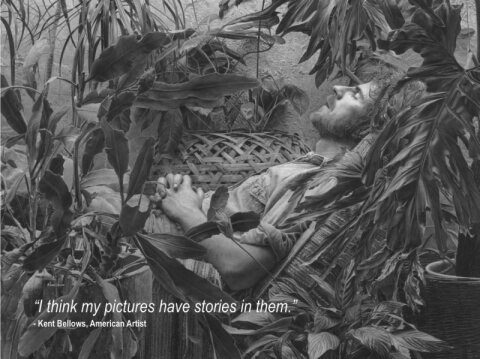 Two contemporary photographers are exhibiting at El Museo Latino. Aureliano Sanchez Tejeda in La Huella Psiquica En El Tiempo Muerto 2 (The Psychich Imprint of Dead Time 2) and Jesus Sanchez Uribe in Con Ojos Propios (With My Own Eyes) thru August 31. Sanchez Uribe, a renowned Mexican photographer, exhibits black and white abstracted images of rustic urban sentiment. National University of Mexico Pressor Sanchez Tejeda’s colored images show enlarged human sentiment such as an ashtray and a dish, ashes overflowing. Also on view thru July 14, Graphics of Latin America” presenting a selection of works utilizing various printing techniques by artists Leonardo Ibanez, Arco Crisia, Pedro Angel, Manolo Roldan, Carmen Flecha, Manuel Marquez Ortega, Jose Antonio Castillo, Cesar Burgos, Gabriel Macotela, Santiago Rebollido, Jose Martin Sulaiman and more. Elmuseolatino.org.